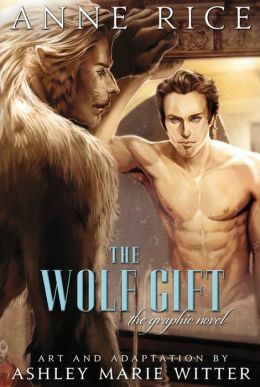 Next month, Yen Press will premier a new hardcover black & white graphic novel based on The Wolf Gift, author Anne Rice’s new take on werewolves in the modern world. “When reporter Reuben Golding arrives at a secluded mansion at the request of the home’s mysterious female owner, he doesn’t expect this assignment will lead to him being inexplicably attacked-bitten-by a beast shadowed in darkness. This single event prompts a terrifying but seductive transformation that both opens Reuben’s eyes to what was previously unseen and unknown, and leads to even more questions. Why was he given this wolf gift? Is its nature good or evil? And is he now all alone in this mysterious new world?” The Wolf Gift was adapted and illustrated by Ashley Marie Witter. You can order it over at Barnes & Noble.